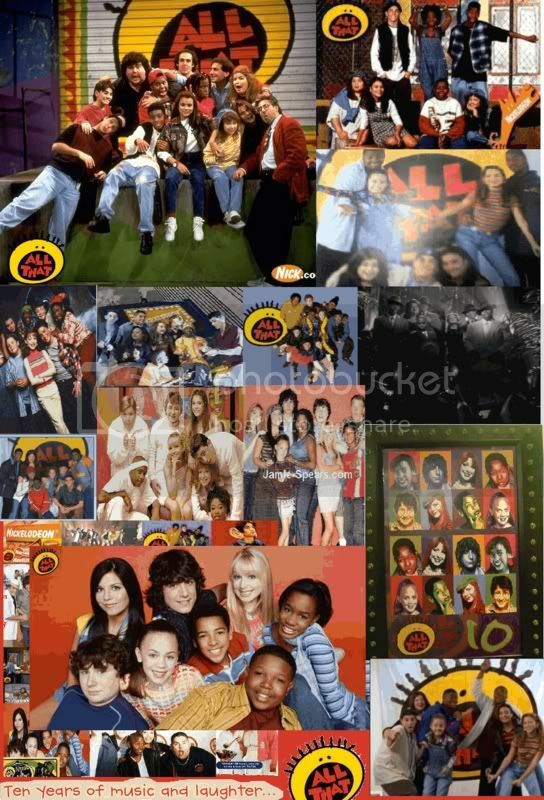 NickDisk Reloaded :: View topic - NEW EPISODES OF NICKELODEON GUTS COMING FALL!!!!!!!!!!!!!!!! Posted: Wed May 07, 2008 5:21 pm Post subject: NEW EPISODES OF NICKELODEON GUTS COMING FALL!!!!!!!!!!!!!!!! NEW YORK, May 6 /PRNewswire/ -- GUTS, the groundbreaking, original hit game show from the '90s, is being recreated for a new generation of families as Nick at Nite greenlights My Family's Got Guts, a new extreme sports competition series. Nick at Nite will commence production on two 10-episode tournaments, (20 new half-hour episodes and two hour-long specials), created and executive produced by the digital entertainment studio Worldwide Biggies. The series will be shot on location at Universal Studios in Orlando, Fla., beginning in August and is scheduled to premiere in prime time on Nick at Nite in fall 2008 with the finale on the Worldwide Day of Play. "A new generation of kids and their families can now enjoy My Family's Got Guts, the new incarnation of the original hit Nickelodeon game show that is back and better than ever," said Marjorie Cohn, Executive Vice President Original Programming & Development, Nickelodeon Networks. "My Family's Got Guts celebrates sports and fun, healthy competition and lifestyle, while building on Nickelodeon's history of creating top-notch game shows for kids and their families. The series that asks, 'Do You Have It?' will challenge families to get active and use teamwork to prove they have what it takes to win." My Family's Got Guts is an extreme sports competition series that brings families together where every member of the team -- from the smallest to the strongest -- plays a vital role and works together to complete each challenge. Each episode will feature a host (TBA), and three teams of four players (two adults and two kids) who gather in the Extreme Arena to compete against each other in four rounds of events inspired by today's extreme sports. The point values increase each round giving all teams a chance to come from behind. The family with the lowest score is eliminated after round three. In the final round, two players from the highest scoring teams face each other on The Crag, a new updated 3D, super challenging version of the original GUTS' Aggro Crag fantasy mountain. The team with the most points at the end of all four rounds wins the competition. Albie Hecht, founder and CEO of Worldwide Biggies and part of the team that developed the GUTS franchise and Executive Producer of My Family's Got Guts added, "Biggies is excited about the opportunity to expand our relationship with Nick at Nite to invent family gaming for the 21st century. GUTS will bring out the kid in all of us as we challenge families to live out their greatest sports fantasy." The original GUTS was hosted by Mike O'Malley (Yes, Dear, Get the Picture) and aired on Nickelodeon from September 28, 1992, until October 1995. The half-hour action-sports game show allowed kid contestants to live out some of their greatest sports fantasies in a competitive arena. There were several different types of sporting events featured including basketball, baseball, football and soccer, while other events made use of a wave pool, a racing track and fantasy ski slope. Popular sports figures and celebrity guests made appearances on the series including Picabo Street, Evander Holyfield, and Backstreet Boy A.J. Mclean. In its third season, the show evolved from GUTS into Global GUTS where kids from around the world competed in sporting events. The format remained the same with four athletic events and the Super Aggro Crag and the contestants included kids from the United Kingdom, Mexico, Israel, Germany, Spain, Portugal, the Commonwealth of Independent States and the United States. The original GUTS introduced the famous Aggro Crag (later renamed to the Mega Crag, and finally the Super Aggro Crag) which ultimately decided the winner. On the fantasy mountain all three contestants raced to climb up activating a series of lighted targets commonly referred to as "actuators" on their way to the peak. If a contestant missed an actuator along the way, that player could not complete the climb until he or she returned and activated the target they missed. The climb was made more difficult with special effects that simulated lightning storms, rock avalanches, flying "snow" in the form of glitter and confetti, "nuclear flying crystals" and steep walls. Created by renowned children's and family entertainment hitmaker Albie Hecht, Worldwide Biggies, is a new digital entertainment studio creating web-based intellectual properties for kids, families and young adults that are designed for additional distribution in the film, TV and licensing arenas. Worldwide Biggies launched its first multi-platform hit on Nickelodeon and Nick.com last year with The Naked Brothers Band and has produced the Video Game Awards on Spike TV, which Hecht created during his tenure as the network's president. In addition to Worldwide Fido (www.worldwidefido.com) a website dedicated to user-submitted videos of dogs, Worldwide Biggies has partnered with TMZ.com on Star vs. Star (www.starvsstar.com) an online celebrity fan community that features a celebrity fantasy league, a weekly video webcast and amazing Star Card artwork, and has launched the humorous webisode series MoCap, LLC -- a mockumentary of a video game motion capture studio. Worldwide Biggies' affiliated non-profit Shine Global was nominated for an Academy Award in the Best Documentary Feature category this year for War/Dance, a documentary set against the backdrop of Uganda's 20 year civil war. This June, the company is gearing up for the highly-anticipated launch of The Princess Bride Game (www.princessbridegame.com), the first-ever downloadable video game based on the classic film. They're going to screw it up somehow. I just know it. OOOOO WELL!!!! IT'S A GAME SHOW BACK ON NICK! OMG....I JUST CHECKED AND IT'S BACK AT UNIVERSAL!!! OH MY DAYZ WHAT IS THE POINT OF MOVING OUTTA THERE! Technically, it's not Nick, it's Nick at Nite. Also, since Stage 21 has UFC, maybe they can takeover Stage 19, a former NSF soundstage, for it. Stage 18, the other Nick Studios soundstage has been completely turned into Blue Man Group, sadly.